Rotary kiln hydraulic thrust roller is mainly composed by thrust roller system and the hydraulic system. The axial endplay of the rotary kiln body is controlled by the hydraulic thrust roller, which could make ring rollers and support rollers even wear on totally width, at the same time ensure the straightness of the rotary kiln body central line to reduce the power consumption. 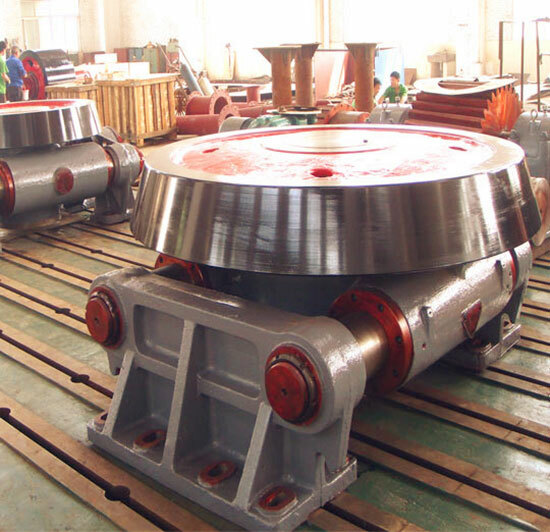 HANDA thrust rollers have the following advantages: compact structure; easy to load and unload; high load capacity; bearings are convenient for assembly and disassembly and have larger radial load capacity.